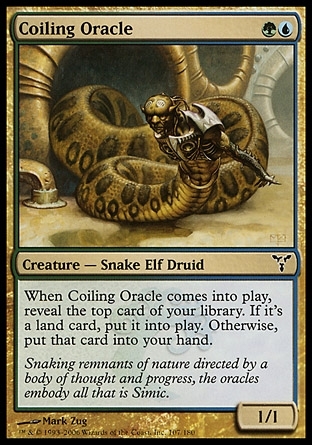 Ability Text: When Coiling Oracle enters the battlefield, reveal the top card of your library. If it's a land card, put it onto the battlefield. Otherwise, put that card into your hand.